Like a row of dominoes, persistent and repetitive heat waves also threaten the environment, exacerbate current climate-related problems, stress a country's health system, damage its infrastructure, and strain its energy resources. 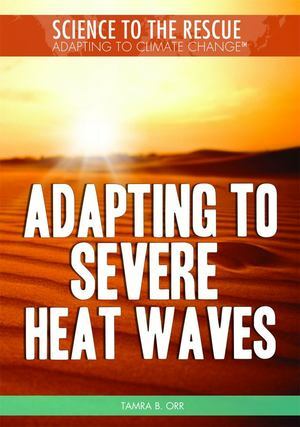 Readers examine efforts, including drought and heat-resistant energy-efficient "smart" homes and buildings, green roof gardens, next-generation building materials, and alternative energy sources as well as technologically advanced climate modeling, weather prediction, and emergency warning systems. Also highlighted are governmental efforts that can be made to alleviate human suffering, including energy conservation initiatives, the opening of public shelters and cooling centers, and the organizing of neighborhood watch programs for heat-vulnerable residents. Most importantly, readers learn how they can learn to reduce their carbon footprint while also coping with increasing heat and remaining healthy.